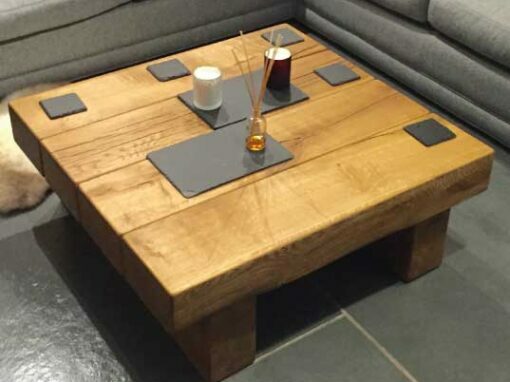 Abacus allows you to choose from a wide range of table designs, to create a square coffee table the perfect size for your space. 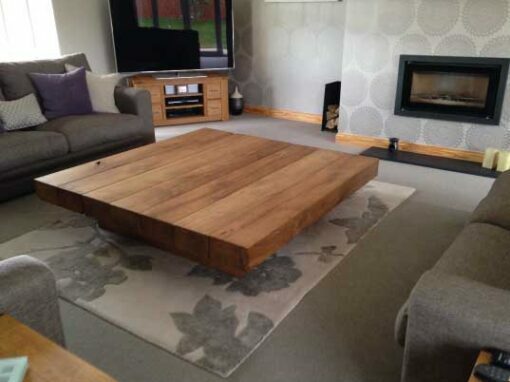 Select the design, choose the materials ad tailor the style and colours to create the exact table you want, that will make a breathtaking centre-piece for your living room.Engineered by Abacus, tailored perfectly for your home by you. 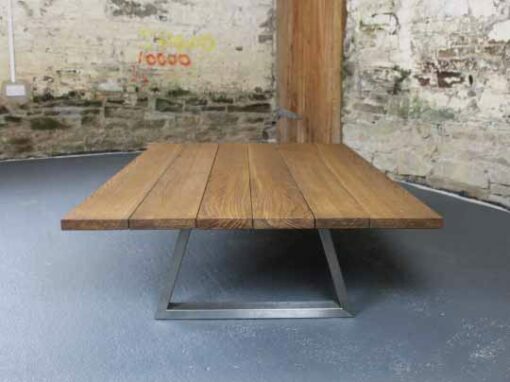 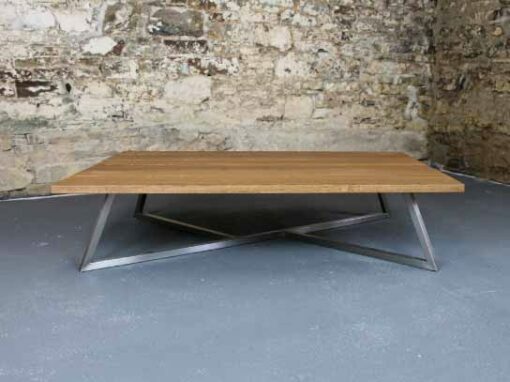 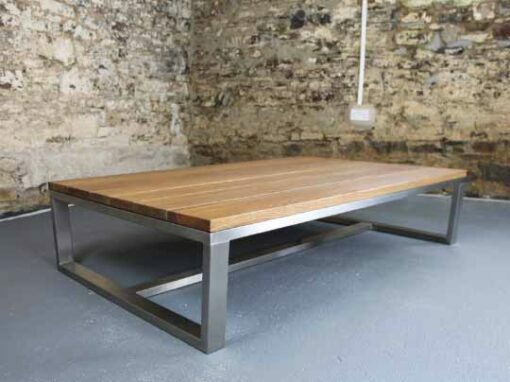 Choose from our complete range of table styles, from chunky natural designs full of character in a palette of carefully selected low-maintenance finishes, to contemporary tables that come in either a brushed high-grade stainless steel or a huge colour palette of durable matt or gloss powered coated finishes. 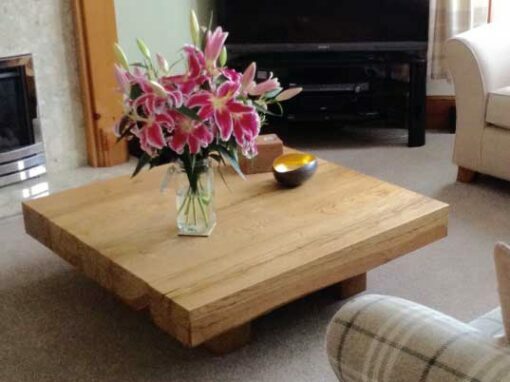 We can also colour match any custom RAL colour for you too. 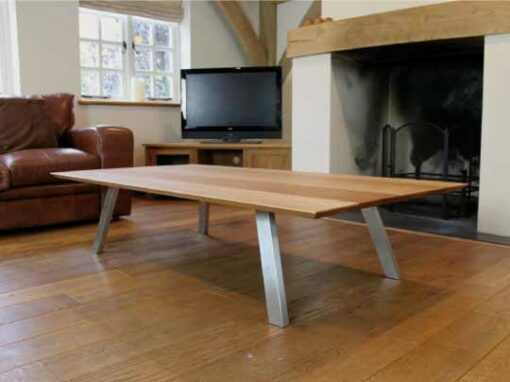 Select the material, thickness, style and edge profile of your table top specifically for your room and the way you want to use the table. 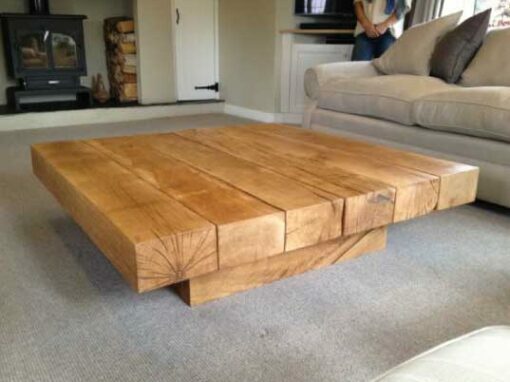 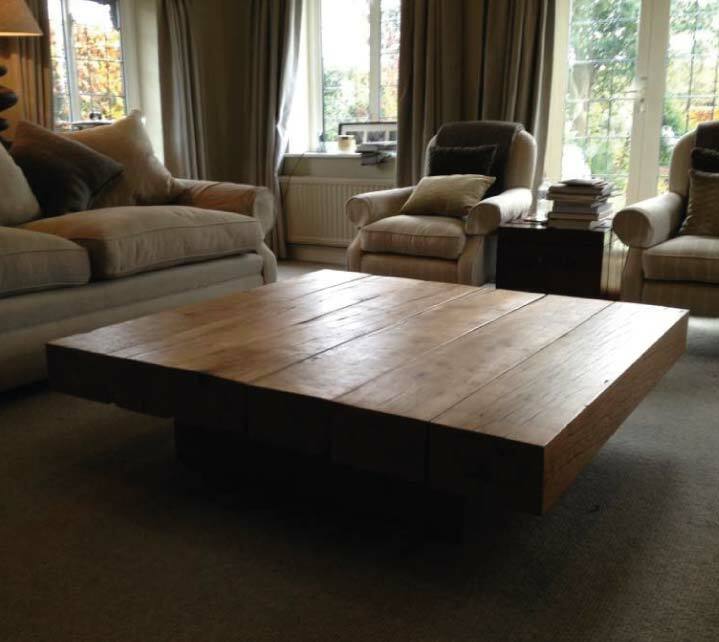 For a square oak coffee table, choose from either huge, breathtaking solid oak beams full of natural character or a more refined table top made from the highest quality premium oak, hand-selected from a single tree. 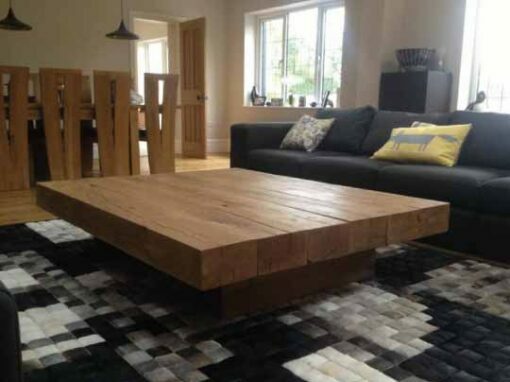 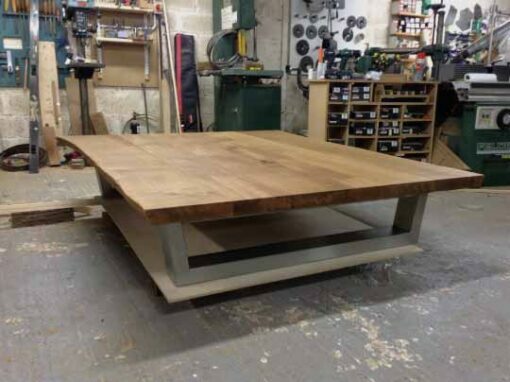 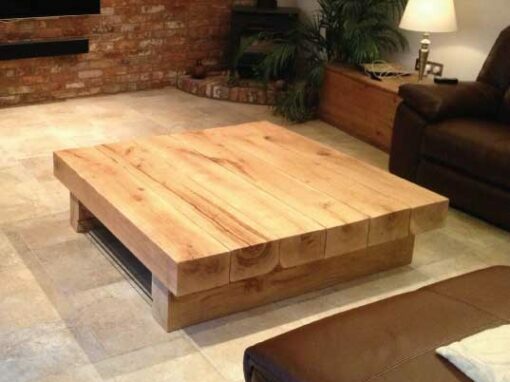 No matter whether it’s a small or large square coffee table you need, to ensure your table fits your space perfectly we’ll custom build your table from scratch and a member of our team can advise and guide you to ensure you choose the ideal size for your room.